Summertime is in full effect now, and is celebrating the season’s first heirloom tomatoes with two new items on its food menu. 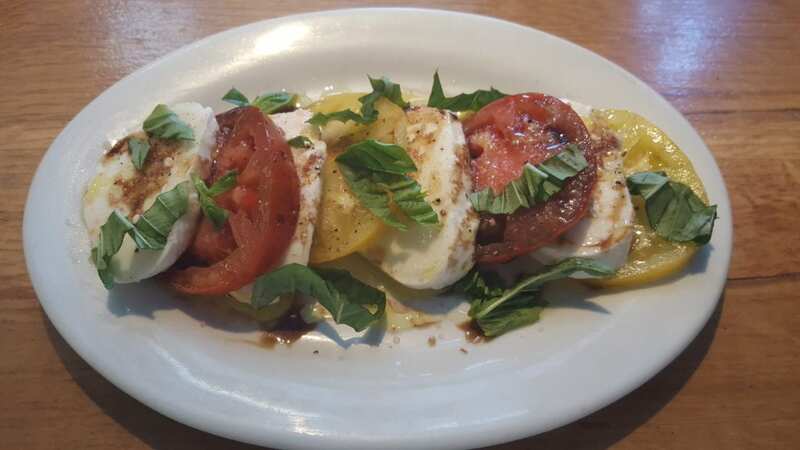 The classic and always delicious Caprese salad is made with fresh mozzarella “Fiore di Latte” from the Belfiore Cheese Co. in Berkeley, CA, a drizzle of fig balsamic and EVOO, a dash of salt and pepper and, of course, some freshly chopped basil. 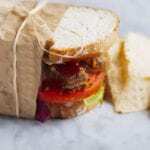 The second new addition to the menu is the Caprese sandwich. Essentially the Caprese salad on a ciabatta roll, with the addition of some fabulous sliced prosciutto di Parma. For all you non-carnivores out there, you may certainly order it vegetarian style without the prosciutto. Oxbow Cheese & Wine Merchant has also just rolled out, in addition to it existing Wine Club program, a seasonal Rosé wine club. Every month, alongside the regular wine club releases, two new and superb rosé wines will be available for those who enroll. This is a perfect limited club offered seasonally from May through October for you to enjoy. As with the other club types, the selections for the Rosé wine club will feature wines of diverse tastes, varietals, and origins and will be in the dry, crisp style. 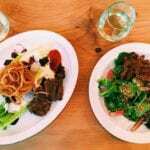 To get more info, please ask a staff member at Oxbow Cheese & Wine Merchant.